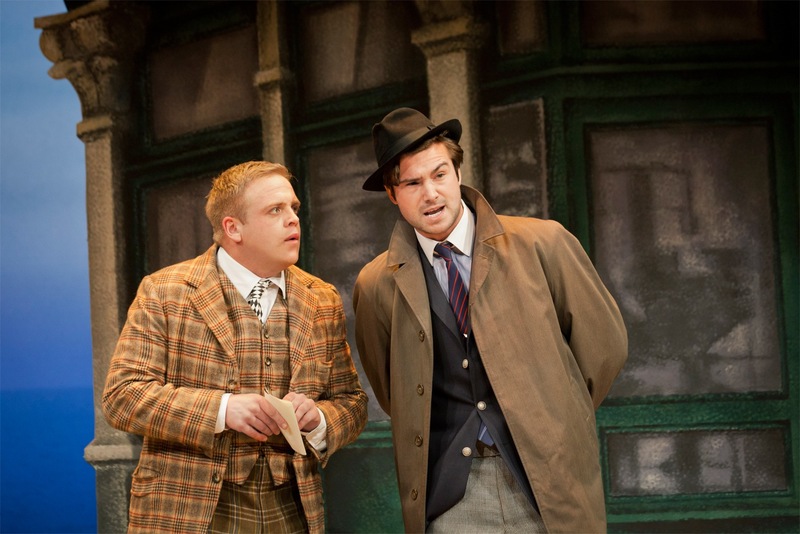 It was the poster of One Man, Two Guvnors that first drew me to the play. It’s a classic piece of modern design recalling the iconic posters of Saul Bass, and it stood out against the more garish West End playbills on the London Underground. The play did not let it down. It was bold and riotously funny. Based on the 18th century Italian play The Servant of Two Masters by Carlo Goldoni, One Man Two Guvnors is set in Brighton, in 1963. It is commedia dell’arte and the lead character, failed Skiffle band member Francis Henshall, breaks the fourth wall and engages with the audience throughout. One Man, Two Guvnors is, as you’d guess from this outline, riotous. Owain Arthur as Henshall is magnificent as he guides the audience through the chaos, and his comic timing is flawless. The scene in which he is serving dinner to Crabbe in one room, and Stubbers in the other, is a triumph of staging. 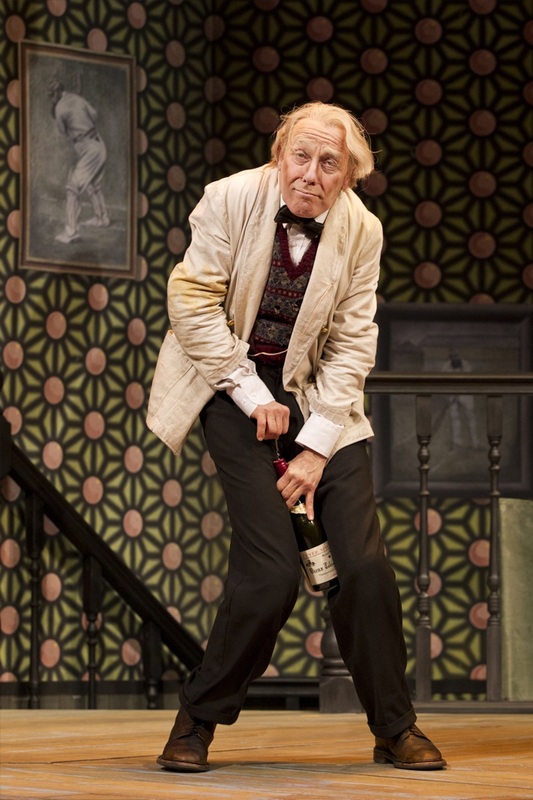 The interplay between Henshall, the headwaiter, and the octogenarian waiter with a pacemaker – played to perfection by the superb team of David Benson and Martin Barrass – is mesmerising as it jumps from one slapstick knockdown to the next. One can not underestimate the deftness of timing and the precision of delivery that the actors must employ for this scene to work. It’s masterful and indicative of the quality of the play and its players. 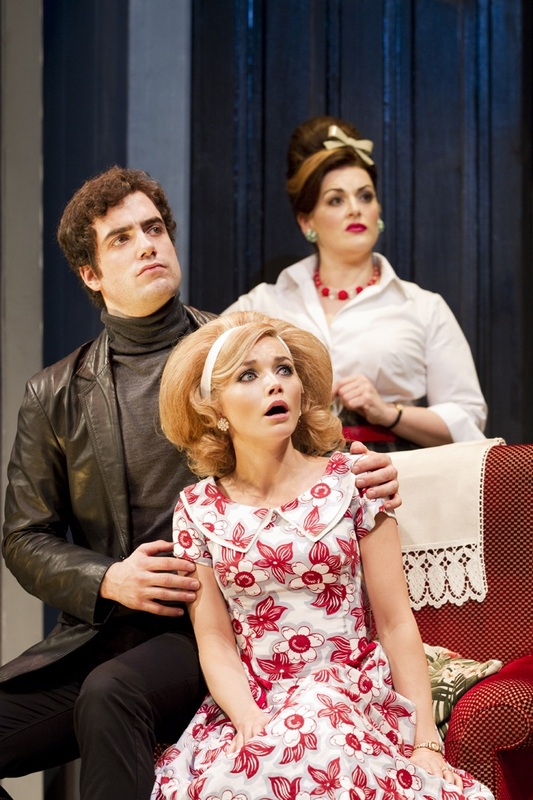 Originally staged at the National Theatre, One Man, Two Guvnors transferred for a second time from the Adelphi Theatre to Theatre Royal, Haymarket on March 2, 2012, with a cast change. And that cast is uniformly impressive, from the Skiffle band that punctuates the scene changes and grounds the play in the early 1960s, to Ben Mansfield as the upper-crust dimwit Stubbers, Jodie Prenger as the saucy, buxom accountant, and Hannah Spearritt as the ditsy bride and daughter of Charlie “The Duck” Clench. Gemma Whelan is superb as the cross-dressed Rachel Crabbe. Her swagger as Roscoe is formidable. 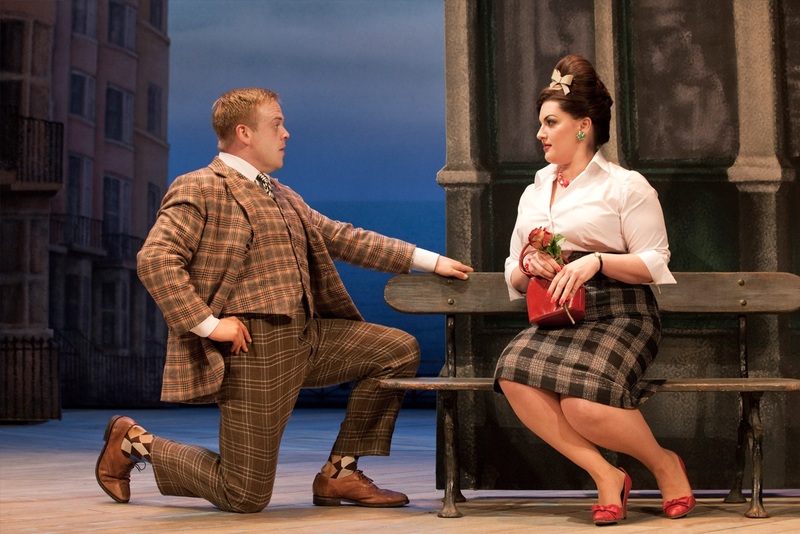 One Man, Two Guvnors sparkles. It is fast-paced and astronomically funny. I have never left a theatre before with the whole audience on such a high. It is proof that in the right hands, traditional and often overlooked forms of theatre such as commedia dell’arte can be relevant and wholly contemporary. I cannot recommend it enough.